When was the last time something or someone really made you think? 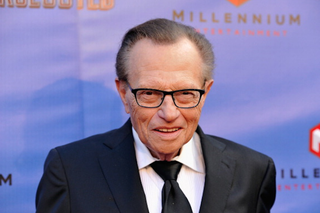 Well, friend, let me turn your attention to Larry King’s Twitter account, where the octogenarian newsman regularly drops knowledge bombs. Without further ado, here are some of his latest and greatest kernels of wisdom. All of these Tweets were sent from a flip phone. Makes you think. Oh, and I have some advice of my own. Don’t let your sons play basketball in sandals and socks.